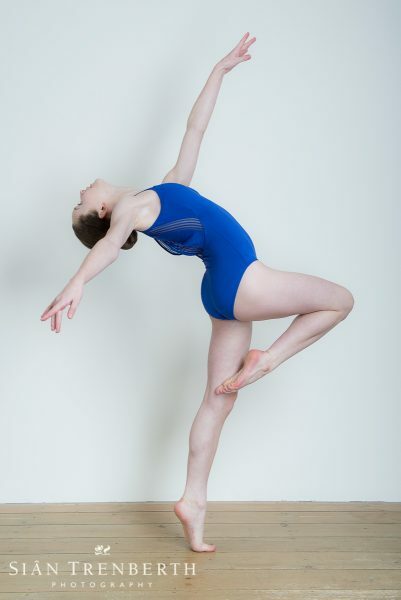 Dance Students Fun Photo Shoot PRICES (for celebrations of keepsakes). This price includes the session and online viewing. Pipa, a Mandy & Shirley Morris School of Dance pupil. As products are sold separately, you can decide after the photo shoot, if you would then prefer to buy mounted prints or a digital JPEG package. If you need your photo shoot for an AUDITION APPLICATION for a vocational dance schools/summer course please look at our dance students AUDITION prices. 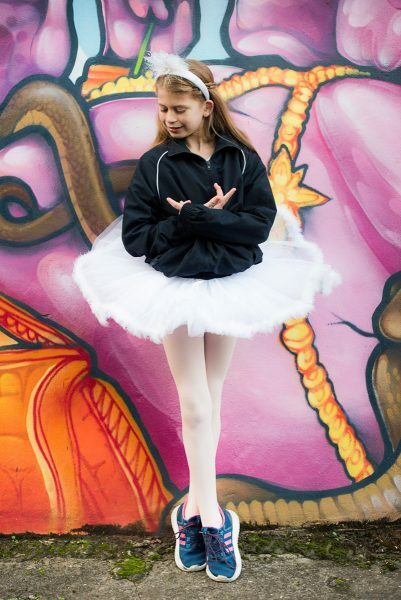 Our fun photo shoot is ideal for the keen dance student. ….. and / or contemporary poses. 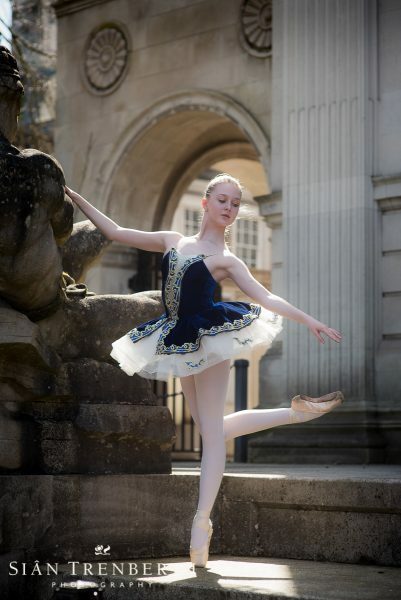 My photograph of Isabelle Brouwers of English National Ballet for Dancewear Central. I photograph both professional and student dancers, so know just what poses look best for dance photography. Weather permitting, you can also have some photographs taken outside. Daisy, Elmhurst School of Dance, with her brother Charles, English National Ballet School. Some photographs can be taken of siblings together…..
…..whether they dance or not! Vertical jumps, like the one below, are fine in my studio….. Your photo shoot will give you beautiful images for you to treasure. A pupil from the Mandy and Shirley School of Dance. Contact Sian for more information about your dance students fun photo shoot. Professional dancers / graduating students audition photo shoot prices can be found here.